A great par 3 where it is imperative not to miss on the left side or go long. The picture says it all! 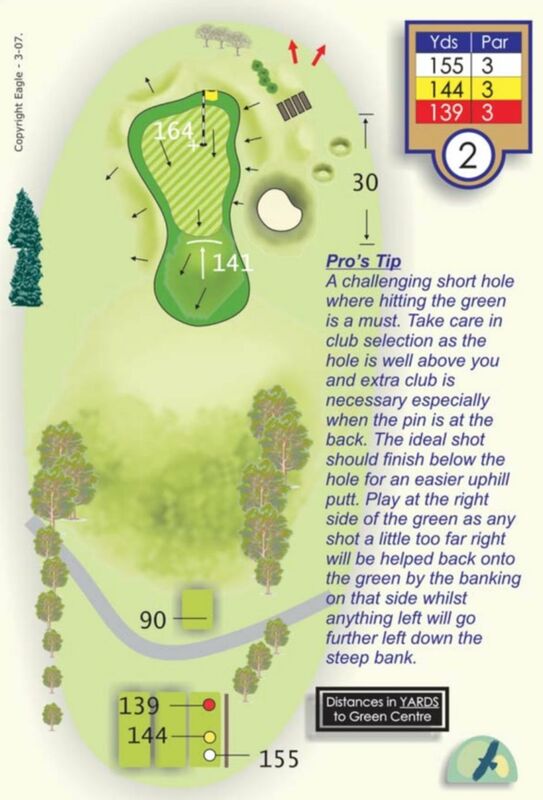 Basically, an iron shot to the right-centre of the green will never leave you too far off a birdie putt.